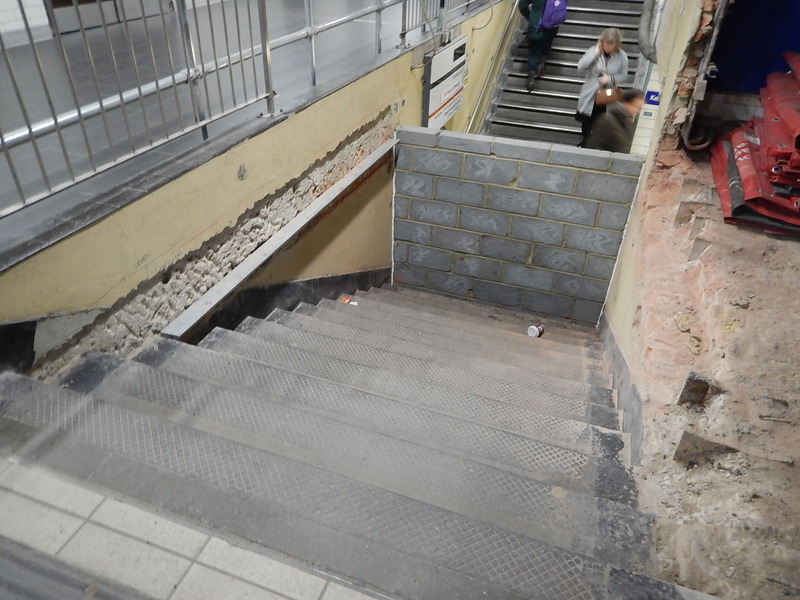 These steps currently exist at Moorgate station. The steps have been closed and it looks like they will be replaced by a lift to the subway. At least they’re roped off securely!